Princess Lenora Celeste Beatrice Arabella Pembrook had an unusual childhood. She was raised to be a Queen—the first Queen of Wessco. When she’s crowned at just nineteen, the beautiful young monarch is prepared to rule. She’s charming, clever, confident and cunning. It’s her advising council’s first priority. It’s what Parliament is demanding, and what her people want. Lenora has no desire to tie herself to a man—particularly one who only wants her for her crown. But compromises must be made and royals must do their duty. Years ago, Edward Langdon Richard Dorian Rourke, walked away from his title and country. Now he’s an adventurer—climbing mountains, exploring jungles, going wherever he wants, when he wants—until family devotion brings him home. And a sacred promise keeps him there. To Edward, the haughty, guarded little Queen is intriguing, infuriating…and utterly captivating. Wanting her just might drive him mad—or become his greatest adventure. 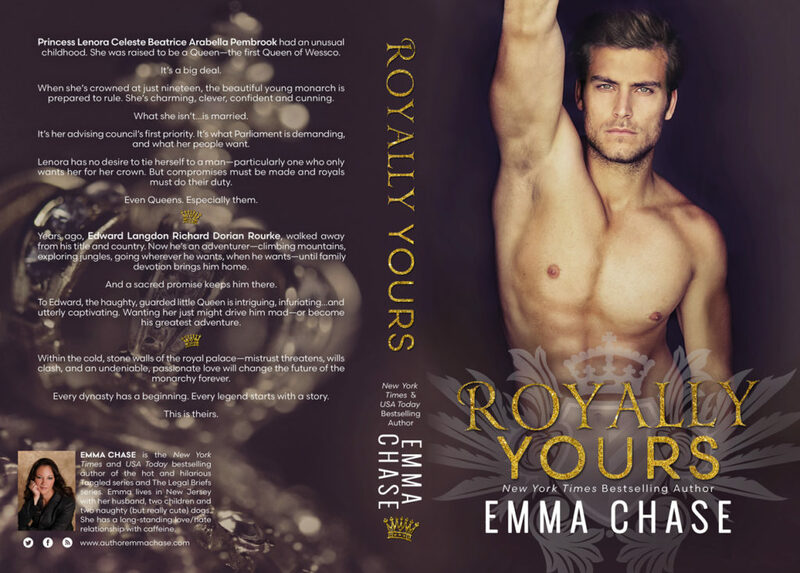 Within the cold, stone walls of the royal palace—mistrust threatens, wills clash, and an undeniable, passionate love will change the future of the monarchy forever. Every dynasty has a beginning. Every legend starts with a story.